I hate to admit but I am not a huge fan of chicken breast. I mean I eat it, sometimes like it but never really love it. I much prefer wings or legs. 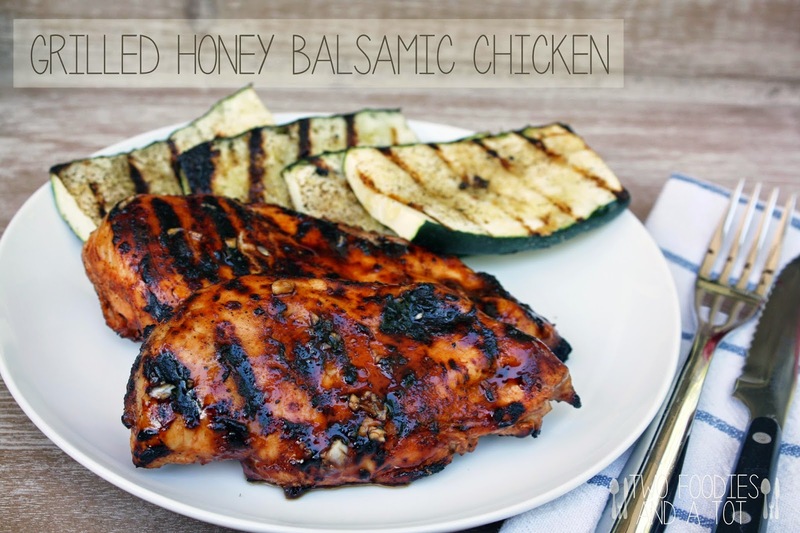 But with this honey balsamic marinade, I actually loved this meal! Balsamic vinegar truly does the magic here. I served it with some grilled zucchini(my family's absolute favorite vegetable which you would see in almost every savory dish) and spaghetti with pesto which is a fantastic match for balsamic. 1. In a ziplock bag, add first 6 ingredients and coat the chicken well. 2. In a bowl, mix all the ingredients for honey balsamic sauce and pour half of the sauce over the chicken in the ziplock bag. 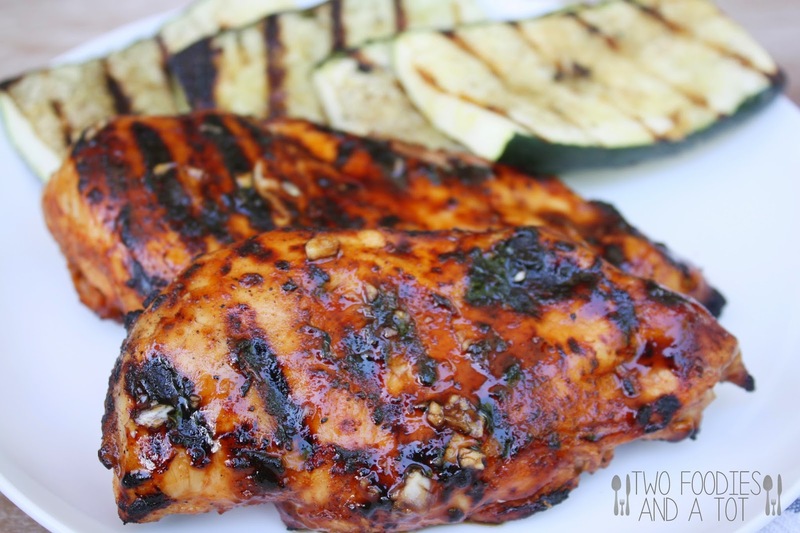 Marinate for at least 30minutes. 3. Grill the chicken 3-4 minutes per side or until temperature reaches to 165F or no longer pink. Once cooked, brush remaining sauce on top and serve.